Right now, there are still over 1 billion people in the world without access to electricity. In addition to large swaths of Sub Saharan Africa that remain off the grid, many of those 1 billion reside in India. This December, IIT Bombay will host an international workshop on “Decentralizing Solar Solutions: Attaining and Sustaining Electricity Access For All”. The objectives of this ambitious summit include policy recommendations and general brainstorming on how to achieve a more resilient and far-reaching grid. This workshop will complement recent initiatives in India to further integrate renewable energy into the country’s consumption patterns. With nearly 300 days of sunshine each year, India’s massive solar potential remains largely untapped. But this is quickly changing, as the government has identified the natural resource as both a cleaner and more cost-effective means of providing electricity to the vast majority of its population who receive unreliable service, or none at all. Demonstrating India’s commitment to achieving energy sustainability, Prime Minister Narendra Modi has set a goal of sourcing 40% of all electrical generation from renewables by 2030. The transition, which is already underway, will begin by implementing 175 gigawatts (GW) of renewable electric power by 2022, including 100 GW of solar. In keeping with these ambitious targets, megawatts are being tendered out by the thousands by the government-run Solar Energy Corporation of India (SECI). The result in 2017 was that through September, of the 17,011 megawatts of added electric capacity, 34% came from solar. Furthermore, following a slow finish to 2017, SECI will now bid out another 3 GW in January 2018, 5 GW in February, and 6 GW in March. Many exciting new projects are in the pipeline, including massive floating solar grids, which sit on water and offer the double service of reducing water loss via evaporation while generating power. This is all welcome news to the millions of citizens who currently make do with just 4 hours of electricity per day, as well as the millions more who go without even that. According to data from the World Bank, Indians use eight times more electricity now than they did in the 1970s. In addition to surging power demands, this also means that the nation has become the third largest contributor of carbon emissions to the atmosphere, trailing only the United States and China. Implementing such a radical commitment toward renewable energy promises to make a real dent in that; coal-powered electric is now projected to peak in India by 2028 as generation is driven increasingly by renewables. In addition to drastically reducing carbon emissions, the expansion of India’s solar industry will be an economic boon for communities as well as providers. As solar continues to require less investment per megawatt, residents can hope to see it spread quickly, pay smaller electric bills, and most importantly, enjoy a more reliable product. 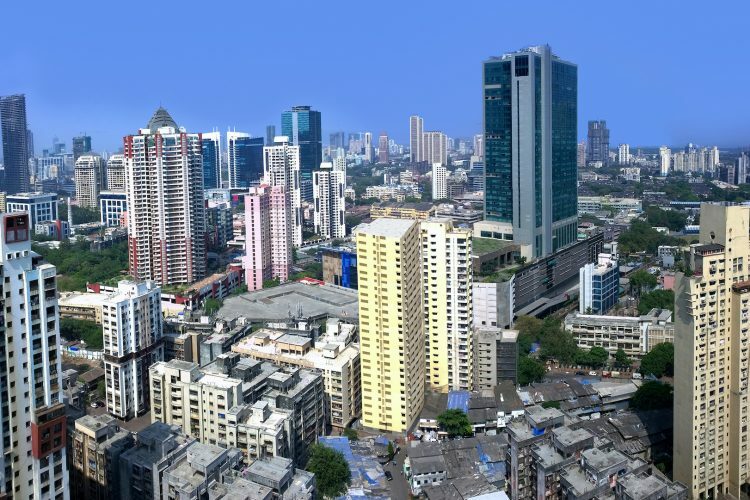 In Mumbai, one housing society’s rooftop grid generating 76 kWh of solar has already cut residents’ electric costs by 83%, meaning a payback period of just four and a half years. Of course, with the tremendous supply of sunlight available to be converted, there will be times when surplus is generated. This is when batteries, though expensive, serve a crucial role in minimizing runoff. Another way to maximize the utility of such generation is through blockchain peer-to-peer microgrid transactions. With Power2Peer, in the middle of the day, when solar power is strongest, individuals and communities would be able to sell surplus power to their neighbors. Runoff is thus converted into profit, while those buying up the surplus pay a reduced rate determined by the market. This is the utility Power2Peer is offering to the solar community at large, and investors in particular, who have the opportunity to invest in green innovation that promises to reshape the way people think about solar.